A tiny province in Switzerland is proving such a magnet for blockchain startups that it’s increasingly being compared to California’s famed Silicon Valley. The 30-kilometer stretch of land from Zurich to Zug, known as ‘Crypto Valley’, boasts progressive laws, a competitive hiring environment and low taxes, and it’s this unique mix that has attracted entrepreneurs looking for a place to gain traction amid an uncertain international legal climate. While governments in the US, China and Russia have all taken strict or uncertain regulatory positions toward digital currencies, Switzerland has largely continued the laissez-faire philosophy that has long made its banks valuable (even if controversially so), and ‘Crypto Valley’ has become the center of the movement. The confluence of blockchain projects and startups (which now includes the Ethereum Foundation, Shapeshift and Xapo), while no utopia, is best considered a promising work in progress that finds local governments, national authorities and startups seeking to advance technology that has struggled to find a global foothold. 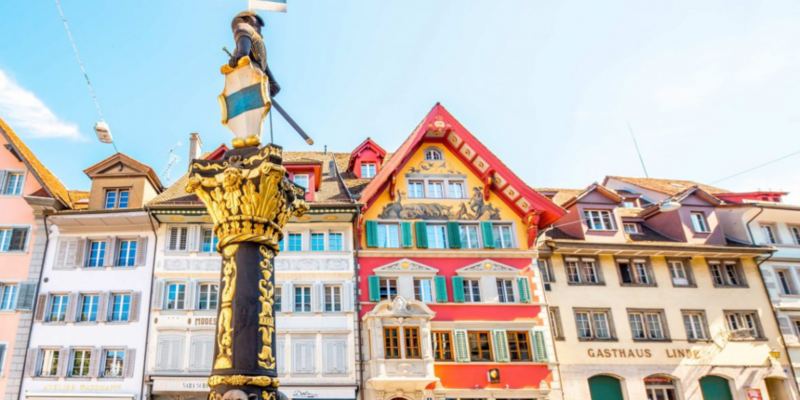 One organization that has taken up the mantle is the Greater Zurich Area economic region, a public-private partnership that has helped more traditional tech companies like Google and Uber set up shop in Zurich. Executive director of investment Lukas Sieber explained that he believes Switzerland is primed to become a global center blockchain disruptors. With apparent government support and legal innovations, Sieber argued Crypto Valley is proving a stark contrast to jurisdictions abroad. But even decentralized movements have to start somewhere. Indeed, the idea for Crypto Valley goes back to January 2014, when Johann Gevers, founder and CEO of of blockchain transaction platform Monetas, first started laying the groundwork to create a global hub for blockchain firms. During a meeting with representatives of the ethereum project, Monetas and Zug’s economic promotion office, ethereum co-founder Mihai Alisie is said to have the coined the name “Crypto Valley”. By April of that year, Gevers had announced the initiative at the Toronto Bitcoin Expo. “The name and concept took off like fire, and the vision is well on its way to being realized,” Gevers explained in an investor document provided to CoinDesk. Among the reasons Gevers lists for the region’s attractiveness include a “stable predictable, neutral political system”; a culture of financial privacy; access to talent; low taxes; public-private support for entrepreneurs; and the World Economic Forum’s listing of Switzerland as the most competitive nation in the world. In October 2013, Gever founded the Bitcoin Association of Switzerland, and the following May, he started the Digital Finance Compliance Association. Now, other startups and projects are taking note. By the latest count, 18 companies are listed in one collection of Crypto Valley startups, along with two meetups that total over 2,000 members. To some, this momentum may be a side effect of Switzerland’s progressive governance structure. According to Sieber, the fundamental advantage Switzerland’s political system offers is that every citizen has the right to propose a change to a law. Called direct democracy, this distributed form of governance gives each of 26 regions (or cantons) and even smaller municipalities a high degree of control over their own laws. Already this has an impact on boosting momentum for blockchain. In June, two members of the Swiss Parliament’s Federal Assembly proposed a total of three blockchain-related motions designed to make it easier for the financial sector to anticipate ramifications of blockchain technologies; “consolidate” Switzerland’s position as a blockchain leader; and make it easier for blockchain startups to hold customer funds without being classified as banks. The move was largely heralded in the media as a sign of Switzerland’s progressive ways, and lauded a victory for blockchain startups everywhere. Then, three months later, all three motions were abruptly rejected. 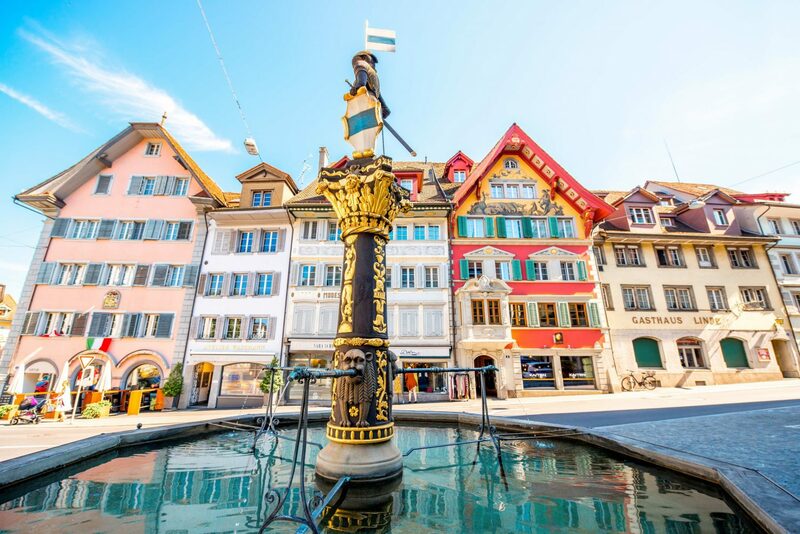 But thanks to Switzerland’s federated structure, a bitcoin experiment first unveiled earlier this year in the canton of Zug continues to gain traction. Announced in May, the program lets citizens pay for government services of up to 200 Swiss francs with bitcoin. As of 27th October, the government-supported bitcoin payment program had been used for a total of 39 transactions. The chief administrator of Zug’s local government, Martin Würmli, told CoinDesk that only nine of those transactions came from “customers” and that the remainder likely came from journalists testing the service. But Würmli added that the local government is “happy” with the results and will conduct a full evaluation in December of this year. It seems other local service providers see value in bitcoin as well, with Swiss railway service SBB announcing last week it will soon accept the payment method. But perhaps no project symbolizes the future Zug more than SingularDTC, a decentralized media company that is setting out to build a Netflix-like streaming video service using the ethereum blockchain. Citing Crypto Valley’s “very large accumulation of talent” and its crypto-friendly government policies, the startup’s CFO Arie Levy-Cohen told CoinDesk his team began working with the Greater Zurich Area’s Lukas Sieber earlier this year in an attempt to open an office in the region. But rather than simply set up shop and carry on, Singular DTV went so far as to launch an alternative business model that allows it to issue units of blockchain-based code (sometimes known as an ‘initial coin offering’ due to its similarities with a public issuance) to users in an attempt to incentivize early adopters. Called a Centrally Organized Distributed Entity (CODE), the concept was developed in collaboration with the Ethereum Foundation; Zug-based law firm MME; and ConsenSys, an ethereum startup hub. Intended to protect token holders and issuers from liability, it also could form the foundation of future startup infrastructures. Designed to be a regulatory and tax-compliant bridge between the legacy business world and the decentralized structure enabled by ethereum, MME partner and member of the Zug Bar Association, Luka Müller-Studer said his team has 12 projects using the CODE model “in the pipeline” and waiting to register. SingularDTV’s co-founder and CEO Zach LeBeau told CoinDesk he believes that the next great tech boom will see “trillions and trillions of centralized dollars” move to a blockchain, and that CODE will help make that happen.